GENERAL DIRECTIONS: BLEND PACKAGE WITH 16 OZ. SOFTENED CREAM CHEESE. CHILL UNTIL FIRM. FORM INTO BALL AND REFRIGERATE. USE WITH VEGETABLES OR CRACKERS. Yummy, BACON!!! 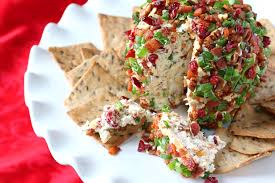 This cheese ball is packed full of bacon bits and onion flavor!! Whether you are partial to savory or sweet, we have all the flavors to please. Our Cheese Balls are great served with crackers, veggies, or wafers. INGREDIENTS: IMITATION BACON FLAVORED CHIPLETS ((TEXTURED VEGETABLE PROTEIN (SOY FLOUR, CARAMEL COLOR, RED3), SOYBEAN OIL, SALT, NATURAL FLAVORING,HYDROLYZED CORN-SOY-WHEAT PROTEIN)), ONIONS, SEASONED SALT (SALT, ONIONS, GARLIC, TURMERIC, PAPRIKA) AND CELERY SEED. 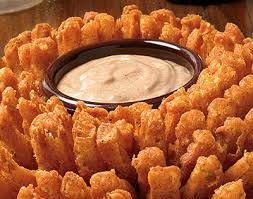 Blooming Onion Cheese Ball mix is perfect for any occasion!!! 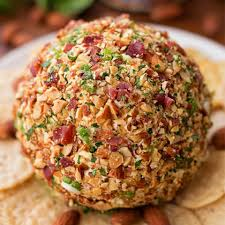 It is a deliciously, flavorful cheese ball that will have your guests talking about the appetizers at your get togethers. Easy to make just add cream cheese. 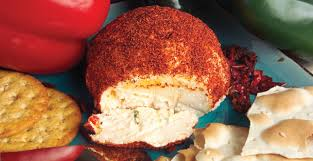 If you like blue cheese and buffalo wings you will LOVE this flavorful cheese ball bursting with both flavors!! Our Cheese Balls are great served with crackers, veggies, or wafers. One of our favorite treats at Rabbit Creek is caramel and apples. 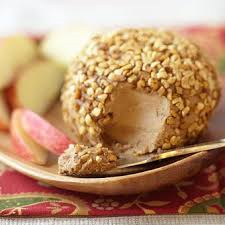 All our cheese ball mixes are easy to prepare, just add cream cheese and you have a tasty Caramel Apple Cheese Ball. INGREDIENTS: SUGAR, DRIED APPLES, AND NATURAL FLAVORING. This fresh tasting cheese ball has a wonderful mix of vegetable flavors and is perfect for a snack anytime. It's perfect to serve with anything such as; crackers, veggies or waifers. You can also make it in a pinch by just adding cream cheese. Our crab rangoon cheese ball mix will remind you of your favorite chinese food restaurant every time. Simply add cream cheese and serve with crackers, veggies, or wafers. 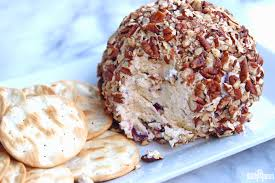 Cranberry Pecan cheese ball mix is a great combination of cranberry and pecan flavors that is easily mixed into a wonderful cheese ball. All you do is add cream cheese and you have a delicious spread that serves as a fantastic snack or appetizer. INGREDIENTS: SUGAR, DRIED CRANBERRIES (CRANBERRIES, SUGAR, AND SUNFLOWER OIL), PECANS, AND NATURAL FLAVORINGS. CONTAINS TREE NUTS (PECANS) INGREDIENTS. Whether you are partial to savory or sweet, we have all the flavors to please. Our Cheese Balls are great served with crackers, veggies, or wafers. 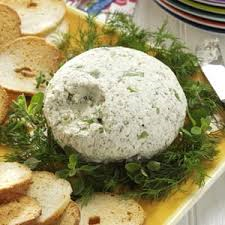 Our dill of ranch cheese ball has a great mix of ranch and dill flavors! This is one of our best selling cheese balls. Sweet and packed with so many flavors that will definitely have you thinking about fall harvest. Our Cheese Balls are great served with crackers, veggies, or wafers. INGREDIENTS: SUGAR, DRIED APPLES, RAISINS, PECANS, AND CINNAMON. 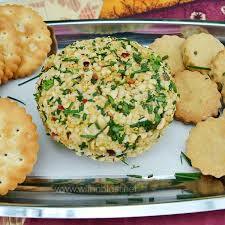 The perfect mix of herbs and garlic, this cheese ball is great served with crackers, veggies, or wafers. All you need to do is add some cream cheese and you are ready to please guests or just yourself. This full-packed flavor will have you coming back for more! INGREDIENTS: PARMESAN/ROMANO CHEESE (CULTURED PASTEURIZED PART SKIM AND WHOLE MILK, SALT, AND ENZYMES. MICRO CRYSTALLINE CELLULOSE USED FOR ANTI-CAKING), ONIONS, PARSLEY, CELERY SEED, GARLIC AND SEASONED SALT (SALT, ONION POWDER, GARLIC, TURMERIC, PAPRIKA). This key lime cheese ball is full of flavor and is the perfect snack for any time of the day. 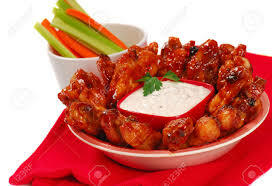 It's easy to make and will have your mouth watering for another bite. Our cheese balls are a great spread for anything!! INGREDIENTS: SUGAR, CORNSTARCH, AND NATURAL & ARTIFICIAL FLAVORING. Whether you are partial to savory or sweet, we have all the flavors to please. Our Cheese Balls are great served with crackers, veggies, or wafers. 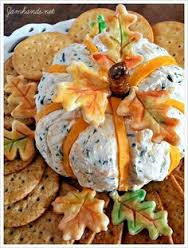 Our pumpkin pie spice cheese ball mix is a great addition to any holiday get-together. INGREDIENTS: SUGAR, CINNAMON, SPICE AND CORNSTARCH. 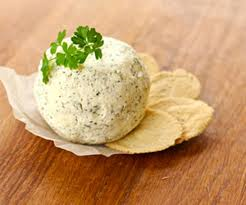 Our savory herb cheese ball will be a hit at any get together. It has a great flavor that your friends and family won’t be able to get enough of. Just add cream cheese and serve this spread with crackers, veggies or wafers. Whether you are partial to savory or sweet, we have all the flavors to please. Our Cheese Balls are great served with crackers, veggies, or wafers. 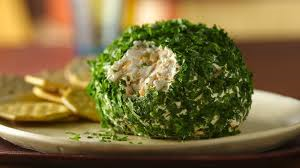 Our spinach delight cheese ball is a great addition to any get together, packed full of flavor. 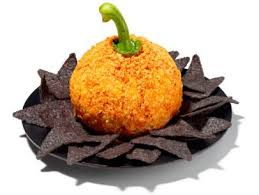 Try our delicious Sweet Pepper cheese ball mix! Whether you are partial to savory or sweet, we have all the flavors to please. Our Cheese Balls are great served with crackers, veggies, or wafers. This one in particular is a great cheese ball jam-packed full of flavor with a little extra kick. 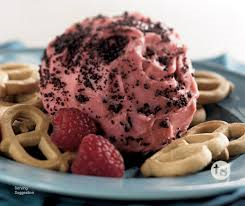 A wonderfully sweet cheese ball mix packed with raspberry flavors that will leave your mouth watering. All you need to do is add cream cheese! Our Cheese Balls are great served with crackers, veggies, or wafers. INGREDIENTS: SUGAR, RASPBERRY APPLE NUGGETS (APPLES, CITRIC ACID, MALIC ACID, NATURAL FLAVORS, ARTIFICIAL COLORS (RED #40 & BLUE #1))AND CORNSTARCH.